Me&FYC was a partnership event opportunity for businesses to platform their skills and work alongside a Creative Industries Hub in the heart of Blackpool. 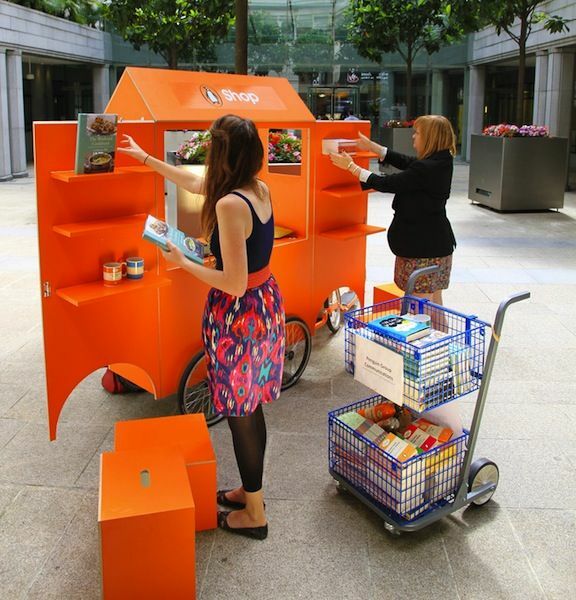 FYCreatives offered a collaboration for designers and maker businesses to platform their wares in a Pop-Up retail space supported by a programme of events and seasonal promotions. The Pop Up Shop Boutique opened in empty premises at 99 Church Street, Blackpool on Thursday 5th Dec. A partnership between FYCreatives & Grundy Art Gallery, gave a town centre empty space, life again by filling it with the work of 17 local designer makers. Sat 2nd November, Grundy Art Gallery. 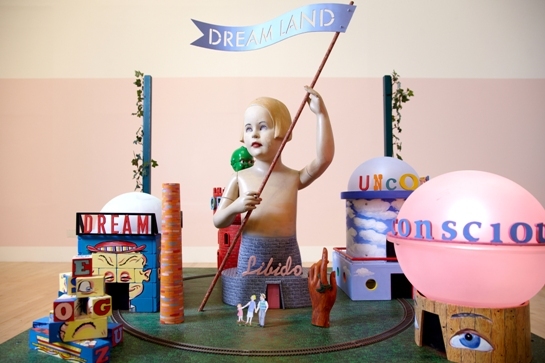 On Saturday 2nd November, to mark the close of our current exhibition, Zoe Beloff’s DREAMLAND: The Coney Island Amateur Pyschoanalytic Society and the Blackpool Chapter, the gallery will host Freud In Blackpool; a day-long symposium. Organised in consultation with the Freud Museum in London, the event will be the first of its kind to be staged by the gallery and will explore in greater depth both the exhibition and the history of Freud’s visits to Blackpool, together with an examination of broader themes and questions arising from the interconnection between the fairground and Freud’s theories of psychoanalysis. A range of writers, artists and historians will discuss this unlikely conjunction in relation to literature, film and visual culture. from MOUTH (Edia Connole and Scott Wilson) and a reading from ‘Memories, Dreams and Reflections’, a new play by Blackpool-based playwright David Riley. Zoe Beloff is an artist working in a range of media including film, projection, performance, installation and drawing. Her work has been featured in international exhibitions and screening at venues including the Whitney Museum of American Art, New York, the MHKA Museum, Antwerp and the Pompidou Center, Paris. She is a professor at Queens College CUNY, New York. Michael EatonProfessor Michael Eaton MBE, is a screenwriter who specialises in docudrama. His work includes ‘Shipman’, ‘Shoot To Kill’ and ‘Who Bombed Lockerbie?’ His fictional work includes ‘Flowers and the Forest’ and the TV series ‘Signs and Wonders’. He has adapted works by George Eliot and Charles Dickens for BBC Radio 4. His most recent play, based on the life of legendaryVictorian criminal Charlie Peace and set in Nottingham’s Goose Fair opened at the Nottingham Playhouse earlier this month. Professor Vanessa Toulmin is Research Director of the National Fairground Archive, Sheffield, a national research facility for the study of folklore, customs and language. She comes from a Lancashire showland family, and completed her PhD researching the social history of travelling showpeople. She was awarded the Chancellor’s Medal in 1997 for outstanding achievement. Scott Wilson is Professor in Media and Cultural Studies at Kingston University, London. His research interests include cultural and critical theory, particularly psychoanalysis and the legacy of Georges Bataille. Recent books include: ‘The Order of Joy: Beyond adn the Cultural Politics of Enjoyment’ and ‘Great Satan’s Rage: American negativity and rap/metal in the age of supercapitalism’. He is co-editor of the Journel for Cultural Research and co-editor of The Bataille Reader. David Riley is a writer, poet and historian based in Blackpool. His play ‘Memories, Dreams, Reflections imagines the recollections of Freud thinking back to his visits to Blackpool, amongst other moments in the psychoanalyst’s life. Image: Zoe Beloff, DREAMLAND model. Photo: Chris Park © Talbot Rice Gallery. 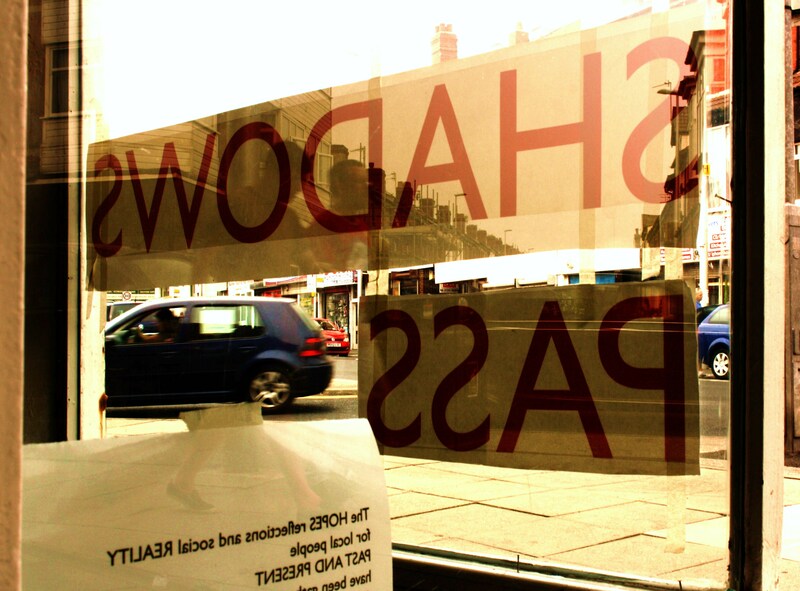 Lisa Wigham has installed a new work of public art in the windows of an empty shop on Central Drive. 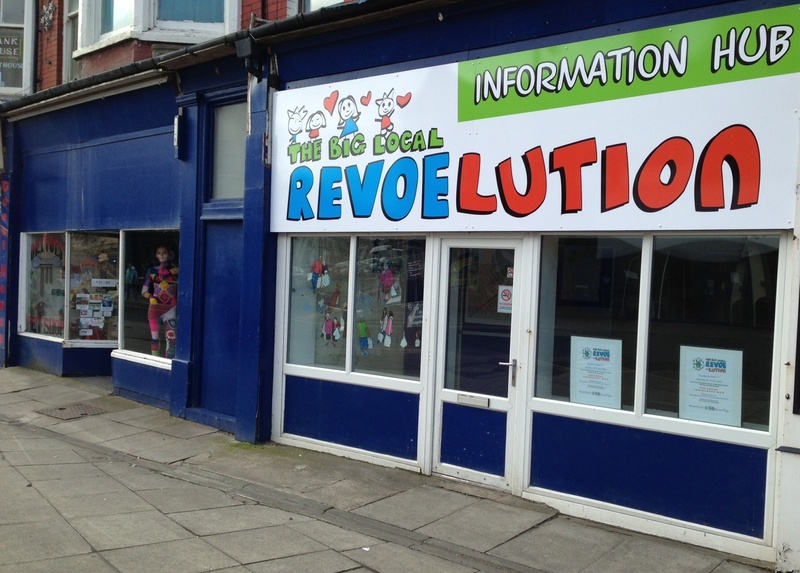 This is next door to the Big Local Revoe-lution and was once known as Charmantra Coiffures. This new work has been made in response to the current social concerns of residents and memories about the place. ‘What I discovered about Central Drive and its community during the research phase of this project is its contrasts that have co-existed throughout the ages. The Drive is an English high street of shops and businesses facing the challenges of retail when half the shops are empty. It is however surrounded by a busy neighbourhood of terraced houses, guest houses and hostels and is a stones-throw from the promenade with its arcades of carnival-esque wonderment and sandy beach. Its floating population of seasonal workers and opportunity seekers has existed alongside an established working class community throughout the growth of Blackpool’s tourist industry since the early 1900’s. In order to make the work, Lisa Wigham delved into history archives for clues about the past, walked around the neighbourhood and retraced her footsteps from childhood. Lisa took photos of shop signage and chatted to business owners, visited old and new acquaintances and called family to share their stories about feuds and friendships at the ‘Mecca Club’, renting flats, local myths and legendary characters they met along the way. Spending time with Angie, Summer and Tina in the Revoe-lution hub also provided valued insights into life in the neighbourhood. Lisa was always curious about the question -what are the things in life to have changed and what has stayed the same through the eras, despite the changes in society? Blackpool has many cultural curiosities in the collective consciousness of the nation and by bringing new life to forgotten spaces, and making them look cared for -Lisa likes to spark the interest of audiences near and far. This amalgamation of ideas and information was arranged into an essence and is displayed as fragments of playful and poetic text designed to trigger thoughts while viewed in passing, whether on foot or in a moving vehicle as the shop itself remains closed. 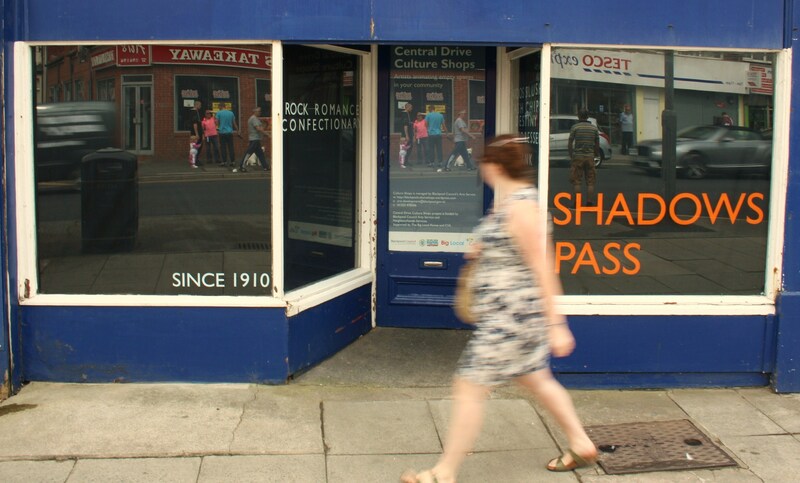 Blackpool Culture Shops Programme is an initiative developed and managed by Blackpool Council Arts Service. 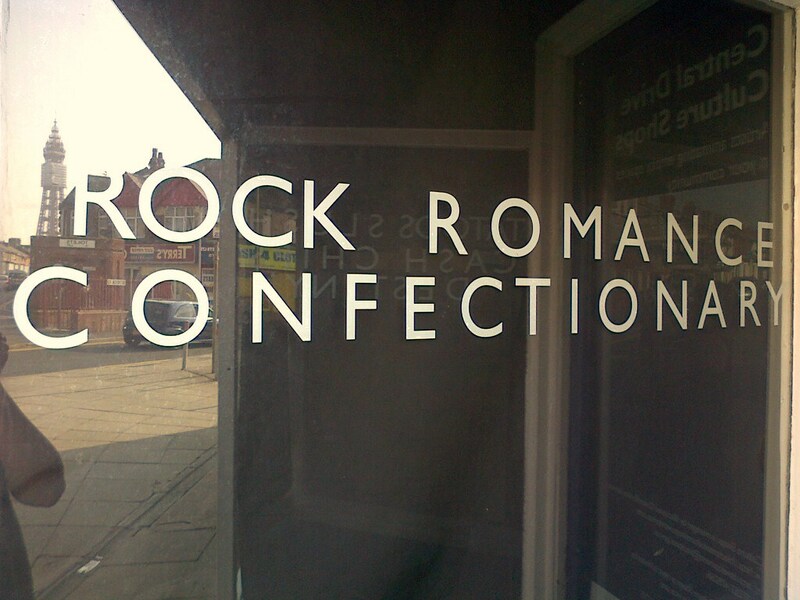 The programme provided funding for 28 artists, 2 arts organisations and 7 community groups to create 33 new commissions for display in empty shops in the town centre from summer 2010 to spring 2012. The programme was supported by the Arts Council through their Art in Empty Spaces initiative with funding from the Arts Lottery and the Department for Communities and Local Government through the Looking After Our Town Centres Initiative. A further programme, Culture Shops Central Drive, featured the work of 9 artists from April - September 2013. This was funded by Blackpool Council, delivered by the Arts Service in partnership with Neighbourhood Services and supported by Blackpool CVS and Revoe Big Local.